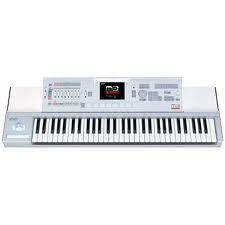 Korg always releases fine products for music production. The Korg M3 is an amazing 61 key music workstation that is also a sampler. It comes with over 1,600 drum samples that sound awesome. It has an amazing effects section where you can add five insert effects along with two master effects that include everything from chorus, flangers, delays, and much more. The large LCD is a touchscreen which is really nice. The built in sampler has superb editing tools so you can shape the sound and length of your samples. Of course it also has a powerful sequencer so you can create full songs that you can transfer to you DAW for vocals and editing and mixing. It sells for around $1900 at Guitar Center. Click the link below for exclusive deals.